Four cities in Brazil have committed to the Sustainable School program whose goal is to achieve 100 percent plant-based menus in their school cafeterias. The municipalities of Barrocas, Biritinga, Serrinha, and Teofilândia signed the agreement on March 19, 2018. Schools have committed to being completely plant-based by the end of 2019. It is intended to improve students’ health. Healthy students with wholesome diets learn better. Plant-based diets can also be more affordable than diets containing animal products. School districts will save money on food, and society at large will save money on the health costs that are associated with unhealthy diets. Fruits, vegetables, and whole grains generally use fewer resources than animal products. In particular, producing these foods uses less water, an important factor in Northeast Brazil, which suffers from ongoing drought. The Sustainable School program is based on the right to health and food, which is provided for in the Federal Constitution and Law 11477/2009. This law calls for “the efficient, economical, and environmental supply of school food, contributing to growth and development, learning, school performance and the formation of students’ healthy eating habits.” Although the interpretation of this law is rather open-ended, Sustainable School’s creators have determined that plant-based school lunches contribute to that goal. 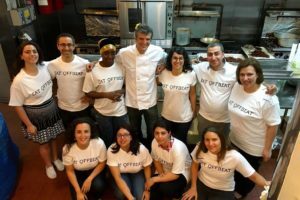 The program began with four days of plant-based culinary training for the cities’ school cooks, led by a chef from Humane Society International. The vegan chef taught local school cooks how to prepare affordable, nutrient-dense recipes made from accessible, local ingredients. Under the new, two-year experimental program, meat and other animal products will be phased out gradually, with a 25 percent reduction each semester until they reach their goal of 100 percent plant-based meals. 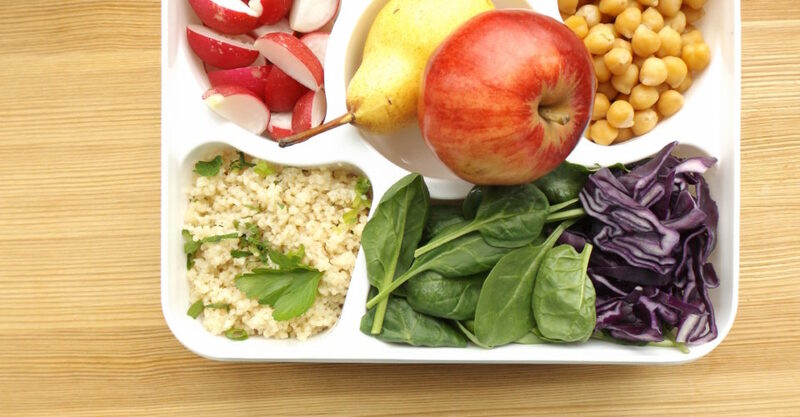 Schools will begin with one meatless day per week. These lunches will consist of soy, rice milk, peanut butter, vegetables, grains, and whole-wheat bread. The changes are expected to impact more than 30,000 students in 435 lunchrooms serving more than 23 million meals annually. Although animal products will not be made available in the schools, they are not prohibited. Families who still want their children to have meat and dairy at school are permitted to send packed lunches. According to a report from Brazil’s Ministry of Health, 30 percent of children aged 5 to 9 and 20 percent of children aged 10 to 19 are overweight or obese. A meta-analysis of plant-based diet studies published by the British Nutrition Foundation shows that plant-based diets can result in positive outcomes for those who are overweight, those who have cardiovascular disease, and those with type 2 diabetes. Even study subjects who did not fully adhere to the plant-based diet lost more weight than those involved in omnivorous weight loss plans. This means that health benefits can result from plant-based diets even without perfect adherence. A study from Loma Linda University shows that plant-based diets are more sustainable than diets containing animal products because they use fewer natural resources and are less environmentally devastating. Cows and sheep produce 80 percent of all agriculture-related greenhouse gas emissions. Moreover, omnivorous diets require up to 2.9 times more water, 2.5 times more primary energy, 13 times more fertilizer, and 1.4 times more pesticides when compared to vegetarian diets. Not only are plant-based diets healthy, they are also better for the environment than diets that contain animal products. The first two years of the program are considered the experimental phase. Students will undergo periodic health evaluations to determine the efficacy of the program. The Sustainable School program was partially inspired by the Meatless Monday campaign, which has been adopted by schools across the United States as well as in some other countries. The São Paulo city school district has participated in Meatless Mondays since 2009. In 2017, PS1 in Brooklyn, NY became the first school in the city to serve an all vegetarian menu every day of the week.